This knitted cotton towel from Ib Laursen is part of the brand's Mynte collection. 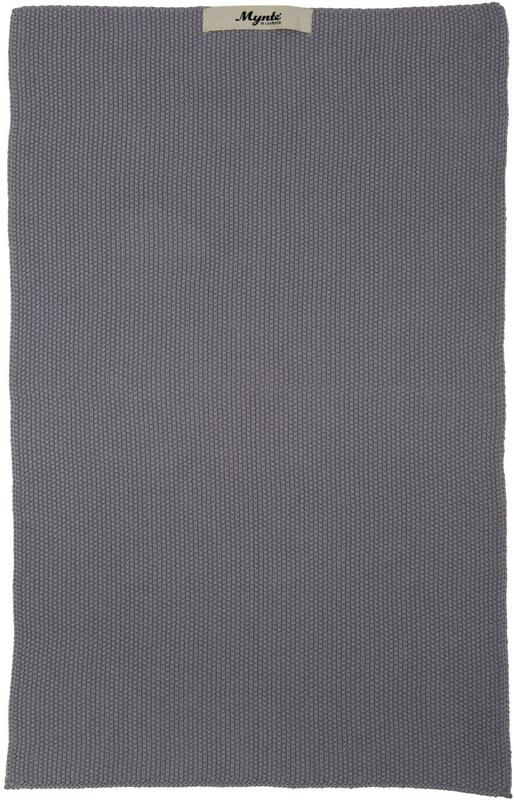 Available in a stylish dark grey colour, this towel features a lovely textured and soft feel. Useful in both kitchens and bathrooms. Reds, Greens, Blues & Natural colours are also available. The Deco Shop in Machynlleth, United Kingdom.